Although 2010 brought a surprising number of store openings—both big and small. It still was a challenging year for retail. Add this to the list of casualties. Skeletons in the Closet, the official gift shop for the Los Angeles County Coroner’s Office, has closed. The closure came as sad news for every publication overly fond of macabre puns. 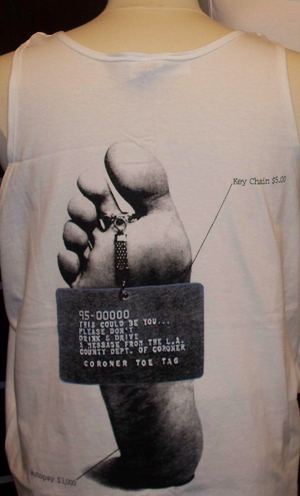 On a bright note, the Coroner’s merch is moving online. So you’ll still be able to get your Coroner tees, hats, mugs and stationary products—as well as a few death-themed gift items. The inventory is not broad, but there are some gems. 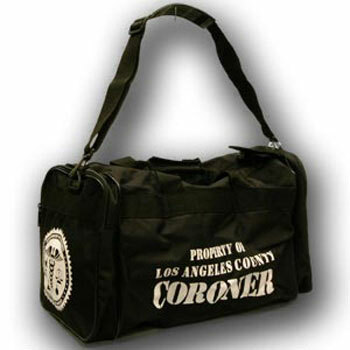 L.A. County Coroner lunch tote, anyone? Crime Scene Party Tape? 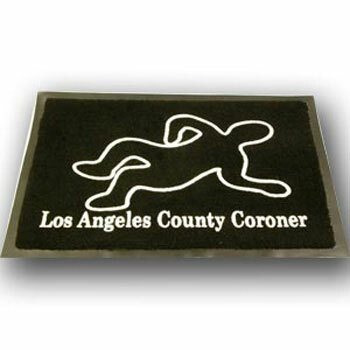 In addition to prevalent use of the L.A. County Coroner brand, Keith Haring-esque chalk-outline figures are a recurring motif.